Burns Night on January 25th is celebrated the world over, an evening where Scotland leads the celebration of the life and legacy of one of the world’s most famous literary figures, Robert Burns on what was his birthday. Where a wee dram, a haggis, a piper and Auld Lang Syne feature in an unrivalled evening celebrating a poet. 5 years after his death, the first Burns supper was held and from there the world has held a celebratory supper on the 25th January. Burns Night fills an altogether cold January evening with warmth and fun, an evening of speeches, poetry, plenty of food & drink and the centre stage is taken by the haggis. A ceremonious affair where Rabbie Burns’ poem “Address to Haggis” is recited up the arrival of the haggis. Robert Burns was born in 1759 and by 15 was writing his first poetry in 18th Scottish dialect and by 1786 his literary career was flourishing. In 1788 he wrote his most famous work ‘Auld Lang Syne’. Unfortunately Burns passed away in 1796, and it all started a few years later when his friends wanted to ‘offer tribute to the memory of departed genius’. By 1806, on the back of the British Empire, Scots were taking the Burns supper to all corners of the globe where Robert Burns and Scottish culture were celebrated internationally. The influence of the world and the celebration of Scottish culture in a Burns Night incorporated bagpipes, whisky and tartan. 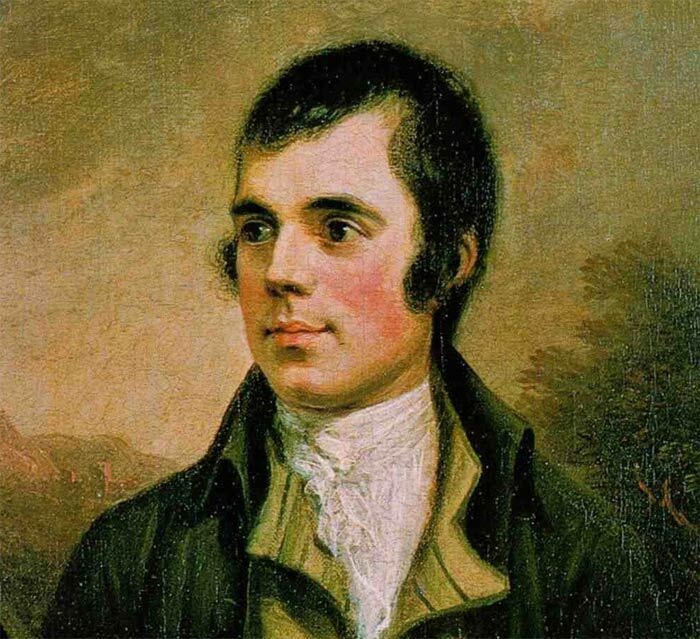 Robert Burns and his work has influenced so many countries and people. Did you know that The Kremlin televises its annual Burns Supper, Tommy Hilfiger claims to be a direct descendent, John Steinbeck’s ‘Of Mice and Men’ took inspiration from ‘To a Mouse’ and Bob Dylan sites Burns as his biggest inspiration. It would seem a Burns Night is a must, an evening steeped in history, food and fun! However we will have to wait until January 2016 for Muckrach Country House Hotel’s Burns Supper. 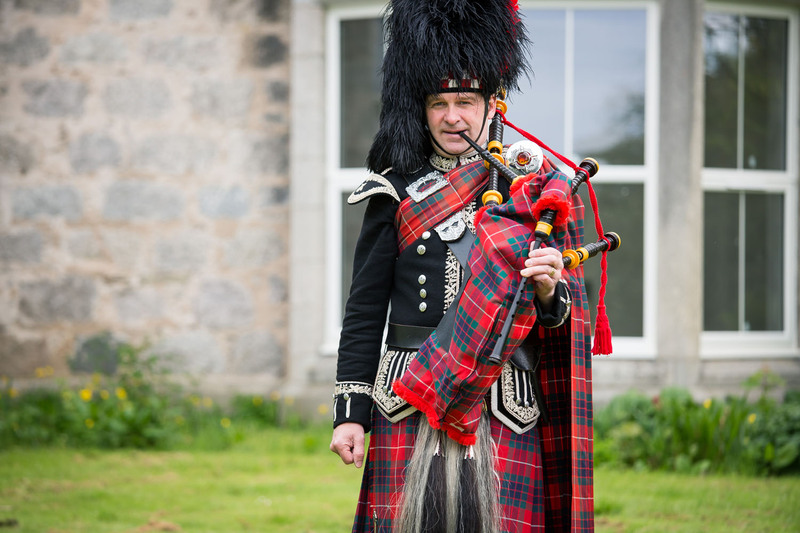 With the fires burning, Muckrach Country House Hotel will host a Burns Supper to remember, a candlelit evening filled with fabulous chef prepared special menus, tartan, poetry recitals & speeches and if we’re really lucky an appearance by Spud the Piper to pipe the haggis. Imagine, everyone will rise to their feet to greet the “great chieftain o’ the puddin’ race”, at which point the Piper enters the room followed by our Chef hold a platter carrying a haggis. The speaker will then deliver a rousing rendition of Burns’ “Address to a Haggis”, all will raise a wee dram to toast the haggis and the haggis will be piped back out of the room. If you can’t wait for Burn’s Night 2016, for a warm and fun evening at Muckrach Country House Hotel, then maybe book a meal in the meantime? We open on the 30th April 2015, with a team of Chefs ready to bring the best ingredients of Scotland together using their own cooking influences to create memorable Muckrach evenings. Our team of Chefs will begin work on the Coffee Shop and Restaurant menus in February, sourcing local produce and the best of The Hollies Farm Shop. The Coffee Shop and Restaurant will be open to everyone from breakfast through to supper 7 days a week, enjoy breakfast, morning coffee, lunch, afternoon tea and evening meals in the Conservatory, the Drawing Room, the Bar or The Grant Room. We look forward to welcoming you, in the meantime we hope you enjoy a wonderful Burns Night with friends and family on January 25th.